hope Beckett is not turning in his grave! It was a mid-June morning. 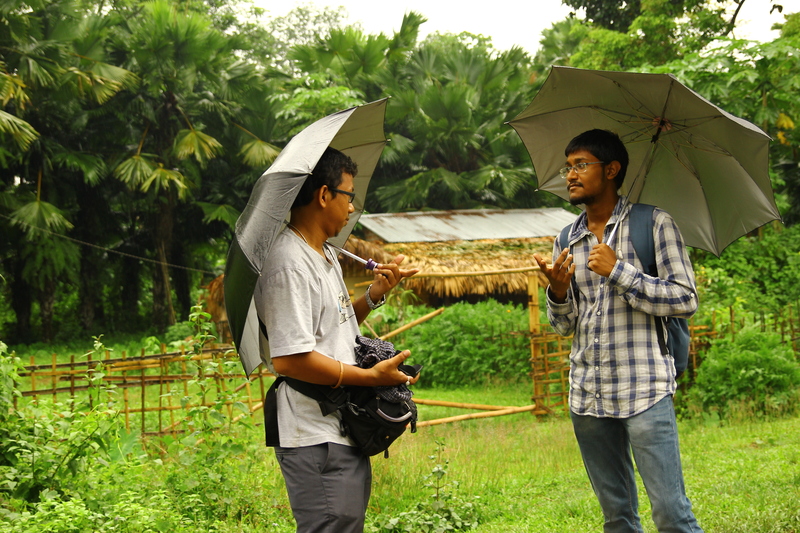 Our team was resolute about taking interview of a recluse (a highly revered Buddhist Mahathera) who was living in one of the remotest villages of Assam. 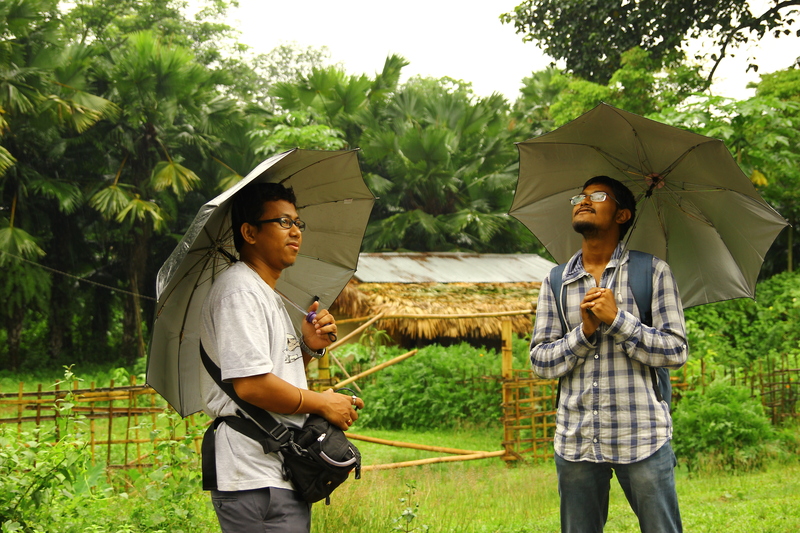 In case you don’t have an idea about how remote a village in Assam can be, then let me entertain you. There are acres and acres of farmlands or else tea gardens; usually isolated farmsteads or sometimes with small clustered settlements midst them and no matter where you are, you have to face the common and salient feature: the narrow potholed road, where seldom public transport plied. leave you dry. Possibilities double: leeches sucking your toes; mosquitoes nibbling your ears; air reeking of dung cakes and rotting betel nuts. The crucial part, however, is the endless wait. The endless wait can make you do a lot of things. Chat, brood, play, sigh, and then chat some more. It made our photographer (Bhaskar) gobble up an entire packet of chocolate chip biscuits and made my fellow research mate (Prakash) burn a whole gamut of matchsticks just to light his cigarettes. It can also make you pose for pictures. 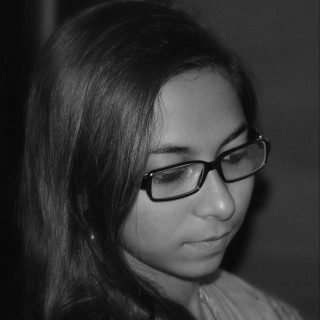 After all, being clicked is in vogue! So, for a change I was the photographer. It didn’t cross my mind at that time that I can give Samuel Beckett and Michael Lindsay-Hogg a run for their money but perhaps, it won’t hurt to try. I had a natural Estragon and a Vladimir in Bhaskar and Prakash (I have not decided though who is who). The other two members escaped my relatively poor skills in photography as they were supervising another part of the research to save time. So, now I have the shots for the shortest film ever: the endless wait. Prakash: What to do now? Prakash: But what while waiting? Bhaskar: Well, maybe we can just enjoy the rain? Prakash: It’s beautiful, isn’t it? Prakash: Do you know what or who are we waiting for? Prakash: Guess, there’s no meaning in life after all! While in Waiting for Godot we see boots and hats, here we are trying to keep our heads! Hence, the umbrellas! Thus, I killed time. I just hope Beckett is not turning in his grave!